The satisfying, decadent fare in this unassuming new East Williamsburg eatery totally hits the spot and will have diners coming back for more again and again. 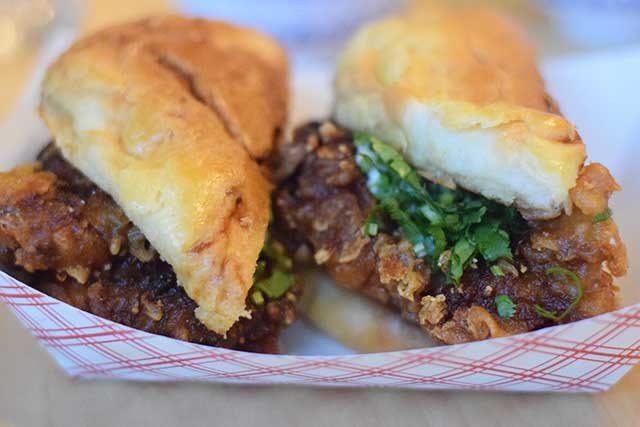 Win Son, the Taiwanese-American “soul food” restaurant that opened in May on Graham Avenue has quickly made a name for itself, delighting both critics and local diners. Bushwick Daily covered Win Son's pre-launch pop up, but now that the restaurant is open and operations are running smoothly, we swung by their brick and mortar location to see how the dishes we sampled taste in situ. If you’re not looking out for the restaurant as you head toward the address, you might just miss it. The storefront, which is still shaded by a bodega-style awning left up by a previous business and located on the stretch of Graham Avenue that's also referred to as Avenue of Puerto Rico, could easily pass for a long time neighborhood business on first glance. The spacious, modern interior is a stark contrast to its exterior. The entire front wall is lined with an array of greenery. A large dining room leads into a bar and semi-open kitchen in the back. The opposing walls are a white speckled pattern on the right and exposed brick on the left, with chandeliers fashioned out of cut-up plastic bottles lining the center. The varied seating is versatile, and can accommodate anyone from large parties to a solo patron at the bar. Taiwanese cuisine incorporates lots of different flavors and preparation techniques, as the country has a long history as a melting pot of continental Asian culture. The appetizers included options such as pan-griddled pork buns with scallions and chili vinaigrette, water spinach with sesame and garlic, and scallion pancakes with sweet soy and chili, to name a few. Entrées consisted of mostly rice and noodle dishes and sandwiches. Many of their choices are vegetarian, vegan and gluten free, and many others can be prepared without meat upon request. The food was truly exceptional. Each dish has its own twist, and a lot of love and care and attention to details is put into everything, making the end result delicious and satisfying. The cocktail list, created by Brett Helms to compliment the menu, is long and eclectic. The house offers a selection of Taiwanese beers as well as more standard beer choices. The servers were sweet, attentive and knowledgable and the food came out quickly—So quickly, in fact, that before biting into one perfectly prepped dish, a diner wondered whether it could truly be cooked properly. However, it turns out they're just that good. On a recent night, Win Son was quite hot—we've reached out to the business to inquire whether there are plans in the works to add air conditioning. It was also loud, thanks to a robust sound system and an invigorating playlist, though the noise level isn't without its charms, and both factors were minor details of an otherwise great culinary experience. Win Son is definitely killing it, so go check it out for yourself, Bushwick! Featured image: Win Son's Big Chicken Bun. Photo by Ruthie Darling for Bushwick Daily. 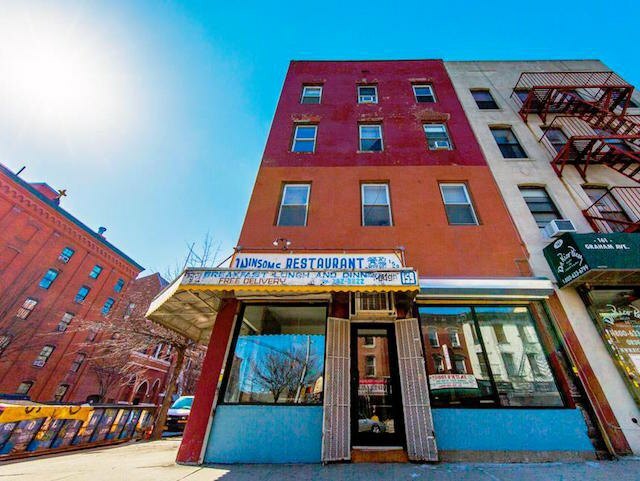 A Taiwanese soul food restaurant in East Williamsburg. 159 Graham Ave off the Montrose L.
Sun-Thurs: 5pm-11pm, Fri & Sat: 5pm-1am. Closed Mondays. Follow Win Son on Facebook and Instagram.